Let’s look at a hypothetical situation. You are the new Director of Reliability for a global company, and you’ve inherited a floating oil production rig in the North Sea. When you start working with the platform team, it quickly becomes obvious that a number of issues are hampering the rig’s performance. Some of these issues are known to the team, others aren’t. There are lots of little things that aren’t perfect. One bigger issue is pretty clear and takes more of the blame for poor performance than it should. The machinery on the rig isn’t geared for the specific gas-to-oil ratio coming on board to be processed – it isn’t engineered to perform at its ‘sweet spot’ for this oil. Other problems are less clear, although you know they are there. 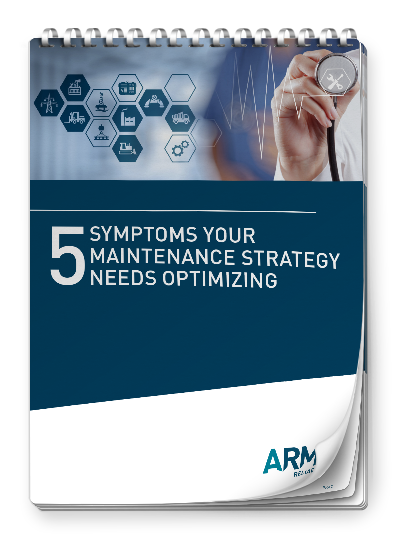 For example, you suspect critical spares and maintenance strategies need work. You can see that the rig team has been persevering because they are more focused on getting today’s job done, rather than on improving the assets’ performance. For them, the work on continuous improvement has been replaced by the reactive task of fixing problems, and the culture of excellence has faded and been lost amidst day-to-day operations. This is despite the fact that the under-performing production processes are costing the rig hundreds of millions of dollars a year in revenue. As the newly appointed Reliability Director, you want to produce a shortlist of action items that will reduce the excessive maintenance costs and boost the rig’s performance. You want a process that will lay all the cards on the table, so all members of the rig’s team can refocus on what needs to get fixed first. Enter VAA, a very fast and focused methodology that can be used in any production industry by any company that suspects its production processes aren’t up to speed. 500 vulnerabilities exist on the rig, which have caused them to slip from the first quartile to the third quartile. The quartile ranking is a way of grouping assets depending on their performance, and is a means for identifying how you can become best in class. Those in the first quartile are the star performers. Their assets are efficient and cost-effective, and enjoy a 10-15 per cent lower maintenance cost as a percentage of sales than a similar asset that wallows in the fourth quartile. A series of indicators are used to identify which quartile an asset resides in; and organisations often find their assets are spread across all four quartiles depending on their age, management and maintenance philosophies, and so on. In most cases, when an asset is first installed, its investors think it should sit in the first quartile. It is expected to perform well, be carefully managed and produce the desired results without surprises or disasters. Over time, however, asset performance inevitably slides. This may happen for many, many reasons, such as: the operational or maintenance teams didn’t follow processes as well as they should have; there was a change in personnel without the requisite handover of knowledge; or a tightening of budgets impacted on maintenance procedures. Slowly, the asset decays and slips into the lower third or fourth quartile of performance. If your asset is not living up to its full potential, you should consider investigating performance with a VAA to quickly and efficiently identify priorities for fixing production processes and procedures, and deliver huge cost savings to the organisation. There is a reason VAAs work. The secret behind the success of VAA is the fact that it relies on input from all areas of the company. VAA brings together a cross-functional team – ideally facilitated by an outside expert – to sit down and identify all the issues, and then map a pathway that prioritises how to get the assets and production processes back into the first quartile. By taking a team-oriented approach, VAA identifies all of the issues that are affecting the production process or a broader scope boundary – and not just the ones that a single person knows about. Often, through this process, issues are brought to the table that some team members never knew existed. As a side benefit, VAA is a perfect training program for new staff. In one week you review every part of the entire process, and they participate with their new team and learn. As the VAA progresses, all the varied issues are listed, and it becomes easier to prioritise those problems that are affecting the organisation the most. Having a qualified list of prioritised actions allows you to confidently start remediation of issues on the largest impact area(s) first. Communication is key with any process, and communication of the remediation roadmap is critical. Armed with a professionally prepared executive report from the VAA the sponsor is kept abreast of high level and immediate severe impacts if they surface. The core team can finalise the processing of the data, which includes an intense validation effort by the ownership team and delivers the prioritised action items with recommended action plans and remediation steps. How long does this VAA process take? To give an example, let’s look at a typical oil platform. A VAA of an entire oil platform could be conducted in one week – as long as the platform was well managed. If the majority of assets on the platform were sitting in the fourth quartile, then it could take up to two weeks to fully document all of the issues and produce a list of corrective actions. In other words, the timeframe is kind of dependant on how problematic things were to start with. VAA works best when an outside facilitator is brought in to mediate and provide objective analysis. This helps to establish an environment of trust and sharing that is often not possible with internally-led processes. In addition, a lot of work goes on behind the scenes by the facilitator, including pre-VAA investigations to identify the right questions to ask during the session; to identify the right people to bring to the session; and to educate these people about what the session will involve. This facilitator plays a fundamental role in bringing the team together. Often, the cross-functional team involved in the VAA haven’t met each other before – even though they work for the same company. In some cases, two people who are responsible for the same asset will meet for the first time in a VAA session. The facilitator typically asks about 10 fundamental questions, which are designed to probe into the corners of the asset or production process to search out the vulnerabilities. These questions vary, and are tailored to the asset and the industry vertical the company operates in. The analysis can be likened to a Hazop for Reliability except that it is not performed at the microscopic level. Much like Hazop, VAA relies on keywords and probing questions to get the team’s collective brain wrapped around the problem. Yet VAA is done at a high enough level to unlock the team’s knowledge about the asset or production process quickly, and to discover what vulnerabilities exist. Software tools are used during VAA make the process more efficient and easy to validate. A multiuser database enables team members from all over the world to simultaneously provide their input into the process. When you’re looking at, for example, 400 vulnerabilities at one time, you can’t do it in Excel. The goal of VAA is to produce a prioritised list of corrective actions – things that will get the assets performing better than ever before. Here is what that looks like. Armed with this list, the team can then agree on the best way to achieve the corrective actions. 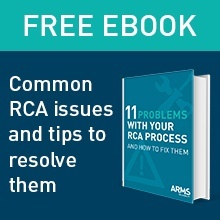 For example, Root Cause Analysis (RCA) and Reliability Centred Maintenance (RCM) can be used to uncover why a vulnerability exists, as well as design reviews, and other mini projects. These remediations can take weeks or even months, but it’s worth persevering. With the VAA process you will be certain that you’re addressing the right issues and targeting the largest impact first, and that the remediations will deliver strong results and significant savings in the long term. Learn more about Vulnerability Assessment and Analysis by downloading our VAA Brochure and viewing our slide share overview.